The band from New York want to showcase their alternative-rock music on a world-wide basis. With songs compiled of fetching hooks, inventive instrumentation and dark yet faithful lyrics, I can completely see the appeal. The Commuters have lived up to their name and have literally commuted through many different influences as they traveled the globe. Having prior experience in the music industry, they formed a group in 2010 and began making their debut album Rescue. The group’s lead single As I Make My Way is rad. I tried to think of a more suiting word, but “rad” pretty much covers it all! The kinetic energy brought out by the guitar in the intro brings out a vibe which will make you want to sway and be one with the music. I closed my eyes and attempted to feel out what the intro had reminded me of, and then I got it… The flowing and revelry noises warp around each other to lead into an almost Beatles-esque atmosphere. Between the ringing guitar and trippy bass, each component slowly gather together to create one uniformed sound, and then the vocals cascade in freely. The essential feeling I gather is energy; the melodic vocals and how well put-together the instruments are make for a fantastic tune. The song really sounds alive. Follow the band on Twitter and Facebook below for updates and more details. Once you realize the commendable work The Commuters have done, definitely check out these other tracks of theirs! Great job guys I love your work! Keep doing like that! I love this story — great job! Owo that’s great. I am waiting to get more track. 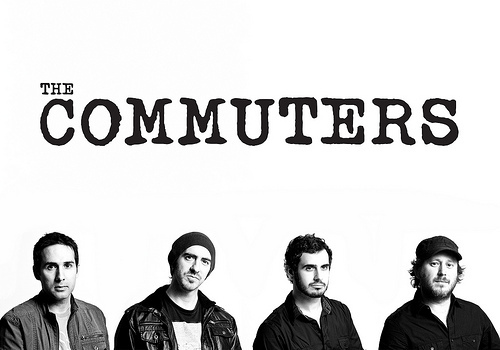 Amazing piece on Zeeshan Zaidi and The Commuters. Great work! the great article. and so nice. I like this same story.